Straddling the Newell and Golden Highways, Warrumbungle Shire is on the road to anywhere and close enough to everywhere. The shire takes in six serviced townships – Coonabarabran, Baradine, Binnaway, Mendoran, Coolah and Dunedoo and a number of interesting locations where once there were thriving villages. Living in Warrumbungle Shire means you can experience the best of all worlds – and it’s a safe place to live and work with affordable housing and an inclusive and relaxing lifestyle. With less than two hours’ road travel to the regional centres of Tamworth, Dubbo and Mudgee, Warrumbungle Shire is the perfect base for family, business and social interests. Warrumbungle Shire has a total population of 9,786 and is located in the Central West of NSW. The region covers an area of 10,000 square kilometres taking in three National Parks – the Warrumbungles in the west, the Pilliga in the north and Coolah Tops in the south east. The Castlereagh River commences its long winding journey just beneath Siding Spring Observatory in the Warrumbungles and slices through the country surrounding Coonabarabran, Binnaway and Mendoran and all those little places between, before heading to Gilgandra and out to join the Macquarie. This land is also the traditional lands of the Gamilaroi peoples and in the south of the shire the land is of the Wiradjuri nation. Coming into Warrumbungle Shire from Sydney can be via either the Great Western Highway and Mudgee or the Hunter Valley. Either way it is less than 4 hours to our boundary and no more than 6.5 hours to the extreme ends of the Shire. The Newell Highway is the natural traffic route for vehicles travelling north and south and the Golden Highway is the easy way over the mountains if you are travelling from the east into Warrumbungle Shire. If Brisbane or the Gold Coast is your destination then we are less than 8 hours away and 10 to Melbourne. Rail and coach: Trainlink provides a coach service which links Coonabarabran and the towns in the shire with the Explorer Service to Sydney at Lithgow 6 days a week. Sid Fogg Coaches travels the Golden Highway to Newcastle and can be met in Dunedoo. A community bus service operated by Warrumbungle Shire travels to Dubbo, Gunnedah and Tamworth each week and the Warrumbungle Community Care also has public cars for one off trips to other centres to meet appointments. Air: QantasLink and Regional Express fly to and from Dubbo over 100 times a week. Jetgo introduced a Brisbane service 4 days a week; Tamworth airport also has multiple daily QANTASlink services to Sydney and a JetGo Brisbane service 4 times a week. Coonabarabran and Warrumbungle Shires are less than 2 hours to either Dubbo or Tamworth airports. 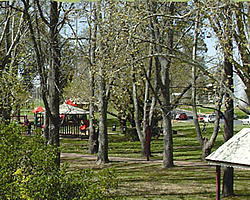 Mudgee to the south east also provides a daily service to Sydney and is an hour from the towns in the southern end of the shire. Each provincial centre has car hire facilities. The Warrumbungle Shire was traditionally built on agricultural pursuits with the early establishment of wool growing and beef cattle production followed by cereal cropping and today a burgeoning vine growing and horticultural industry. The main industry sectors contributing to employment in the Warrumbungle Shire include: Agriculture, Forestry and Fishing, Health Care and Social Assistance, Education & Training and Retail Trade. Industry sectors which contribute significantly to output include Agriculture, Forestry and Fishing, Manufacturing, Health Care and Social Assistance and Education and Training. The rainfall for the Shire averages around 700mm. This sounds a lot but the thirsty country appreciates the excesses which can occur periodically. Winters in the region are cool with days commencing below freezing but maxing at around the 17 degrees, while in summer our evenings cool down to 10-12 degrees but can be as warm as 38 degrees. The local water supplies and services are secure and dependent on the bounty of the Great Artesian Basin. Humid days are certainly infrequent and the hot days are tolerable due to the “dry heat” we experience in summer. Warrumbungle Shire is well located as a place to live and work with employment opportunities and close proximity to regional centres if and when required. Facilities across the shire are family focused. Sporting, service organisations, excellent educational opportunities and close proximity to work mean reduced commuting time and the ability to enjoy family living. Live the Australian dream in Warrumbungle region with affordable property and rental markets. Whether you are considering renting or thinking of buying, you will find that real estate prices are comparatively lower than urban areas and regional centres. The average weekly rental price is currently approximately $200 per week and the average price for a house is around $180,000. Land is currently available for residential, commercial or industrial developments and our friendly local real estate agents would be only too happy to help meet your needs. Employment and investment opportunities are many in Warrumbungle Shire and there is a diverse business sector with many opportunities available for casual, part time and full time employment. The region is recognised for its diverse agricultural pursuits with broadacre farming of cereal crops and beef cattle and sheep and wool production. 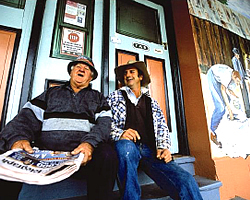 A newly re-established abattoir is located between Coonabarabran and Binnaway and is looking to expand operations; the potential for employment in agricultural and tourism related as well as health and education services is right across the shire and there are always opportunities for tradespersons to establish in any of the towns and districts. An ideal way to meet new residents is to become part of the business community, join the Chamber, Progress Association of Development Group – or volunteer in some way. There are always volunteer groups looking for new members. Educational facilities in the Shire are excellent with all communities offering quality provision from ChildCare through to Yr 12, and in some cases TAFE. There are Catholic Primary Schools in Baradine, Coonabarabran, Dunedoo and Coolah. The comprehensive co-educational offerings at all Central, Primary and High Schools in the Shire cater for a diverse population and curriculum needs. There are five pharmacies across the shire and five medical practices with services to those communities without resident medicos; specialist medical services are also available through visiting programs or at provincial centres. Two dental practices operate in Coonabarabran and outreach programs are available in several outlying centres, but remember no community is more than an hour to Coonabarabran or the next provincial centre. Community Health Services operate in each community and offer specialised services specific to local needs. Legal offices and financial institutions operate in Coonabarabran, Coolah and Dunedoo and veterinary clinics are based in Coolah and Coonabarabran. Each community has a supermarket and Coonabarabran has two. Other retailers operate in each town. The Warrumbungle Shire has a range of events throughout the year for both tourists and locals. For a full list of upcoming events please visit www.warrumbungleregion.com.au for further information. The Warrumbungle Region is a diverse area offering a whole range of activities for the family or individual to pursue. Hiking in one of the three national parks can be very rewarding and our local parks are great places to let off steam or simply meander along the riverside. Golf as a physical outlet is available in all towns and courses are operated by community run groups who maintain picturesque courses complete with resident kangaroos. Equestrian activities are also very popular. Coonabarabran has a Pony Club, Horse & Rider Club, Eventing, Campdrafting and the NW Schools Equestrian Expo which attracts more than 700 competitors over a 5 day period. Pony Clubs are in most towns and the big open spaces mean you can have a pony (or two) for the kids. Tennis courts, netball courts and sporting ovals mean a great range of sport can be pursued and each town has its own swimming pool. There are lots of other sports and activities to pursue in your spare time. You’ll now have time to play bowls, go to the footy, ferry the kids to music, soccer, guides, motocross, or simply go to the gym yourself. 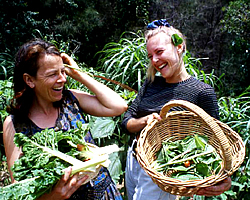 If you have a green thumb and enjoy being in the garden you will now have the opportunity to grow your own vegies and be self sufficient. The communities in Warrumbungle Shire welcome new residents and will ensure your place in the community is clearly established. Each community has information and welcome packs available. 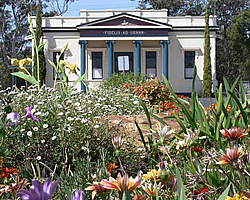 Coonabarabran (Population 3200) is the administrative centre of the shire and is the Astronomy Capital of Australia – the home of Australia’s largest optical telescope research facility and a plethora of private night time viewing opportunities. As the town closest to the Warrumbungle National Park, Coonabarabran and with associated attractions, Coona’ is a mecca for those who enjoy getting out and about. 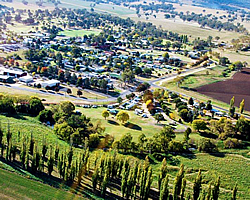 Coolah (Population 1280) is nestled in a picturesque valley to the south of the shire and provides close access to a relaxing lifestyle for those from the Hunter Valley. With sporting clubs, good schools and services Coolah is also the Black Stump town and welcomes new faces. 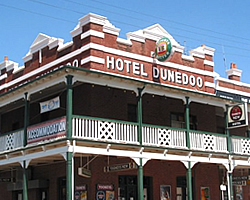 Dunedoo (Population 1260) sits along the Golden Highway and links Newcastle and the eastern ports with the western plains. With excellent schools and services, Dunedoo also projects a dynamism that involves everyone. Baradine (Population 780) is a cohesive little community, keen to ensure a future through community action. It offers a friendly, rural lifestyle with facilities to suit families and retirees – a Multi Purpose Health Service, great schools and a definite “can do” attitude. 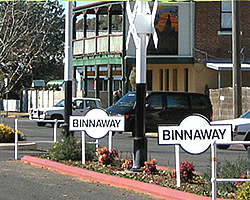 Binnaway (Population 780) small but nice is how you would describe Binnaway. Located a half hour from Coona’ and Coolah it offers a safe environment for families and a great school and sporting clubs. The community driven action has ensured Binnaway continues to attract tourists who want to experience the peace and serenity. Mendooran (Population 450) is the oldest town on the Castlereigh River, but don’t let that fool you – life is not always quiet and subdued. The wide streets, open fields and happy smiles make Mendooran a great place to reside with good facilities, inexpensive housing and an easy jump to Dubbo. $301.70 million to the Orana region GRP.